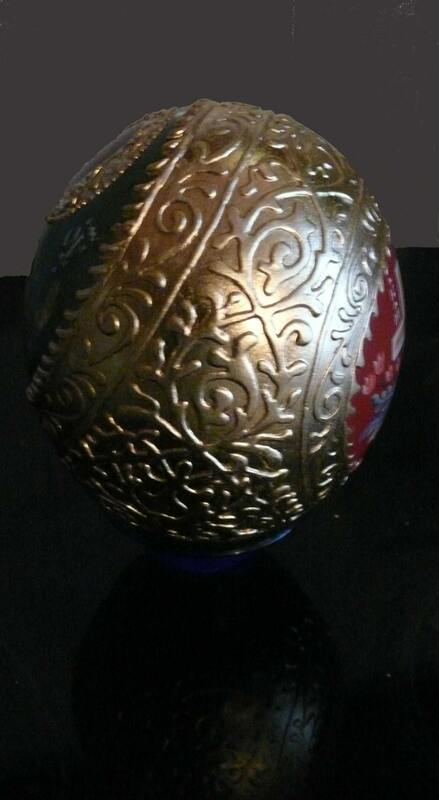 The images present to you this beautiful Hand Painted Egg created by Bulgarian artist Georgi Chimev.. 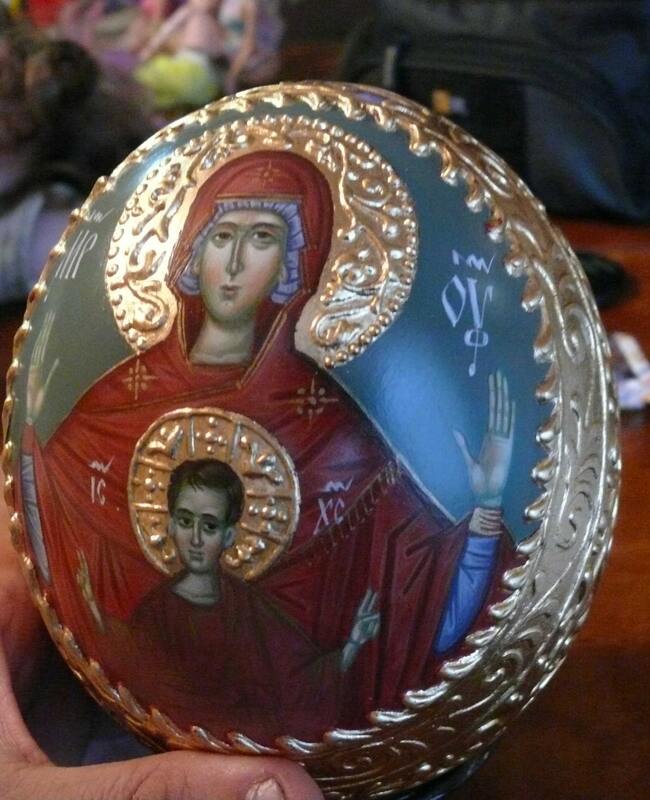 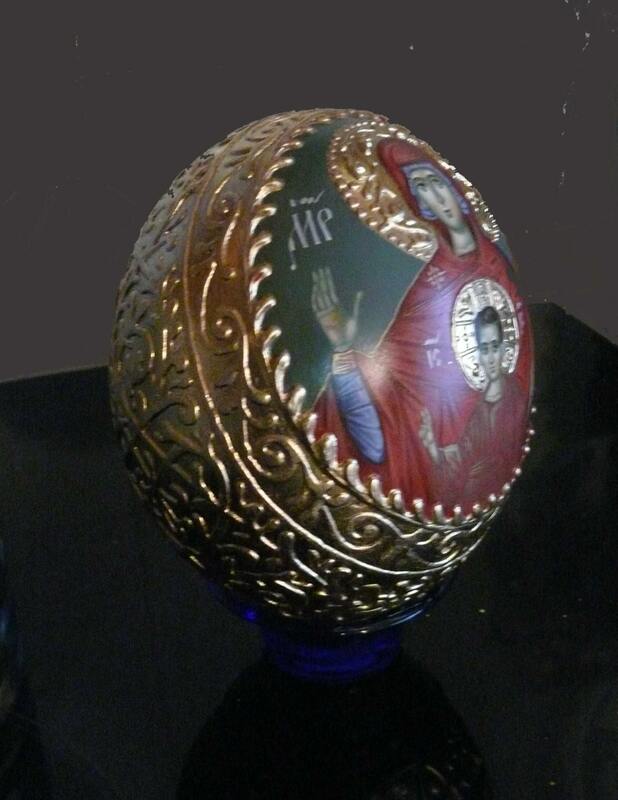 If you looking for a unique birthday gift, wedding gift, special gift these Hand Painted Egg Mother Of God is for you. 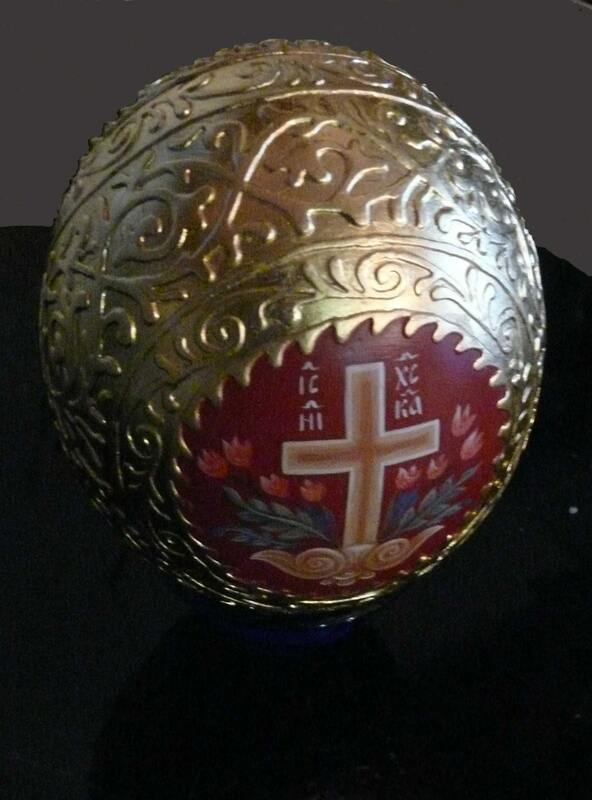 egg tempera, ostrich egg, gold leaf KTS 23 1/2, varnished finish for long lasting protection.